Over the Valentine’s Weekend, Royal Lancaster kindly offered to host my boyfriend and I for the night. 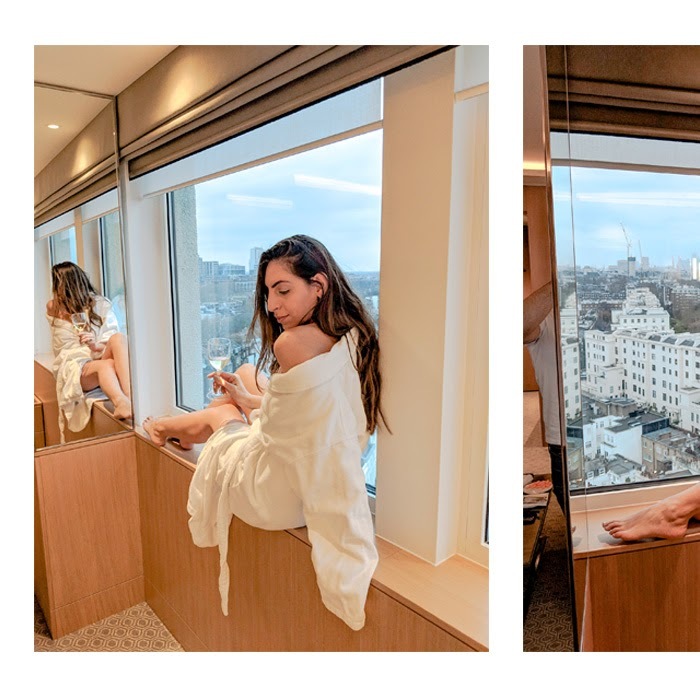 When it comes to staycations you guys know how much I love exploring London and trying different hotels out. So when Royal Lancaster kindly offered to host my boyfriend and I over the Valentine’s weekend, you know I couldn’t resist. I’d never stayed in the hotel before and it was one of my must visit hotels. Everything about the hotel draws me in. I love the fact that it’s location is so central. The views are incredible and the hotel has gorgeous white marble all throughout the entrance. The location for Royal Lancaster is a travellers dream. 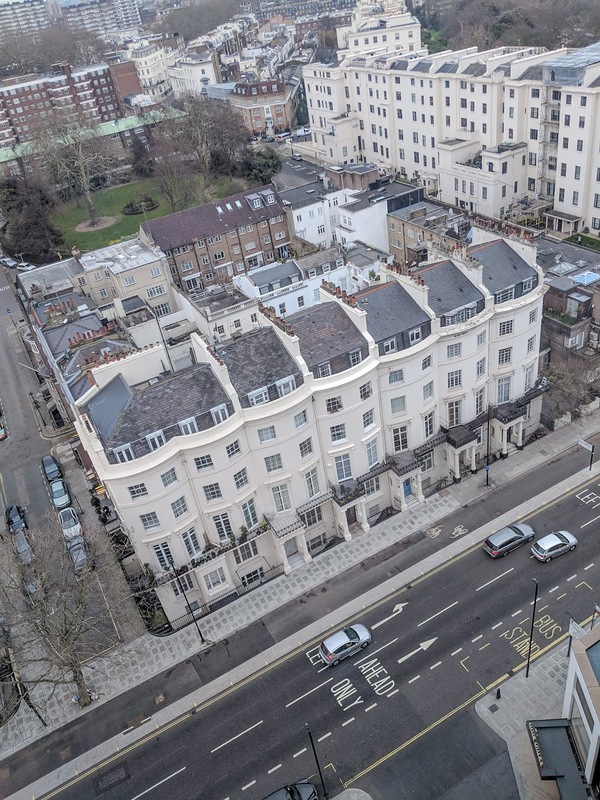 It’s right next to a tube station, a ten-minute walk to marble arch and right on the front doorstep is Hyde Park and the Kensington Gardens. It’s a little surreal having such a large park in central London, and from Royal Lancaster you have some of the most incredible views of the park and the rest of London. Our room was on the 15th floor and we could see right across London to the. We stayed in one of Royal Lancaster's Double Deluxe rooms. 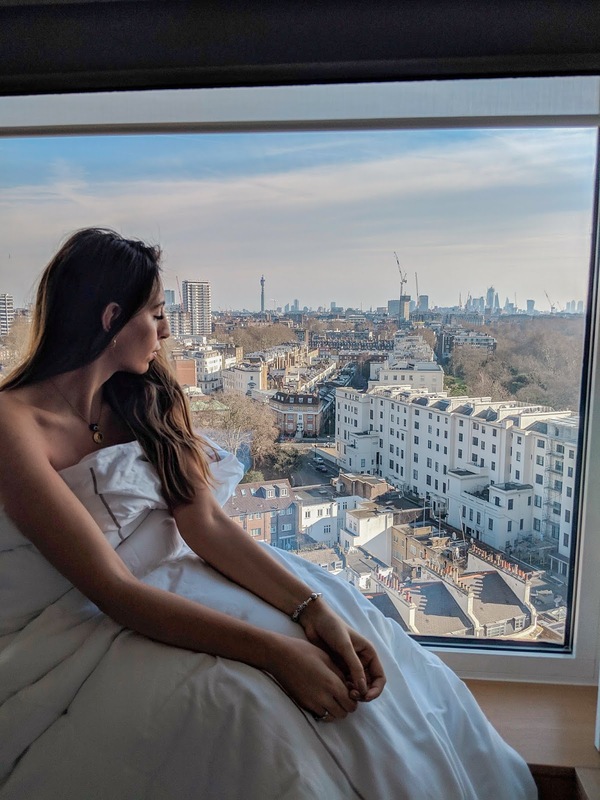 The room came with a huge fluffy double bed, a great bathroom and the most incredible views over Hyde Park. I’ve stayed in a lot of hotels all over the world, but I’ve never felt as comfortable as I did in this particular room. I loved the fact that at the foot of the bed was a couch. I find that rooms this size usually have an armchair and a desk chair, but nowhere to unwind and relax other than the bed. The hotel has two in-house restaurants, Island Grill a gastro American menu and Nipa Thai I will try to book into the Thai restaurant another time as the concierge had highly recommended it to us. 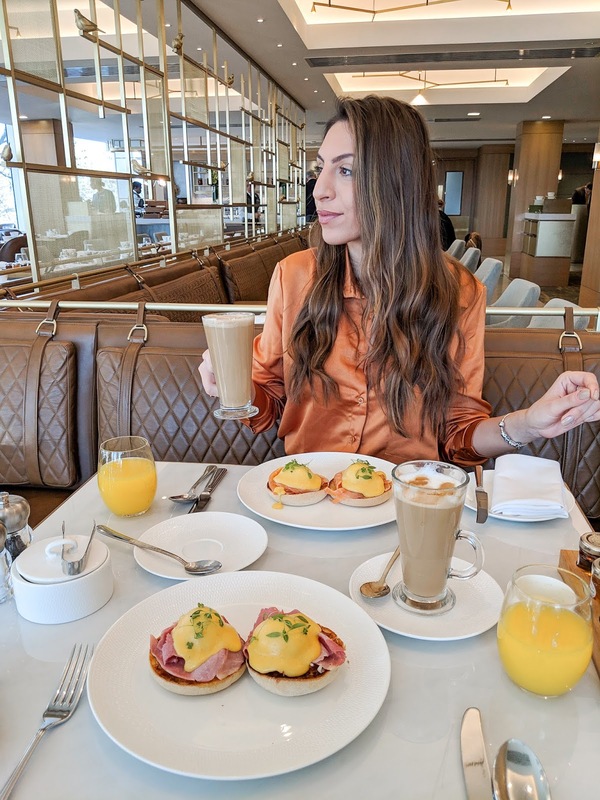 My boyfriend loves hotel breakfasts, I much prefer having breakfast in the room, in my robe relaxing, but he absolutely loves buffets as he likes to try a little bit of everything he likes. So this time, I we decided to go down to the breakfast on the second floor. But next hotel we stay at, we’re having it in the room! It’s a compromise we’ve come up with to make us both happy. Despite my initial wishes, I’m really glad he convinced me to make the short journey down the lift as it was absolutely spectacular drinking my latte people watching in Hyde Park. As it was a beautiful sunny morning there were a lot of people walking around and embracing the sun. It really felt like I was away somewhere and not in central London. We decided to go for poached eggs on muffins, I had smoked salmon and he went for ham. 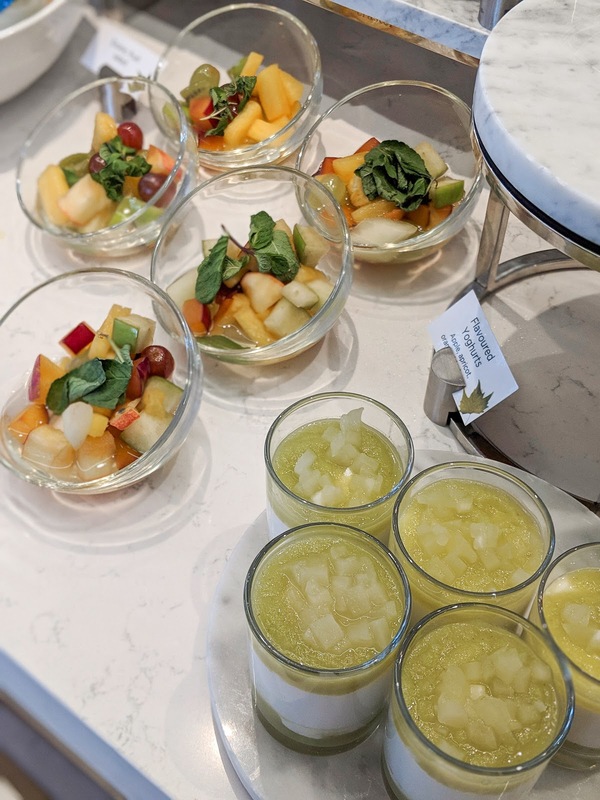 As well as the A La Cart menu there was a range of different fruits and baked goods which we also thoroughly enjoyed. As always I was impressed with the overall service at the hotel. Although we were only there for a day, the staff was extremely friendly and helpful to. The lovely receptionist came up to show us to our room and make sure everything was ok. 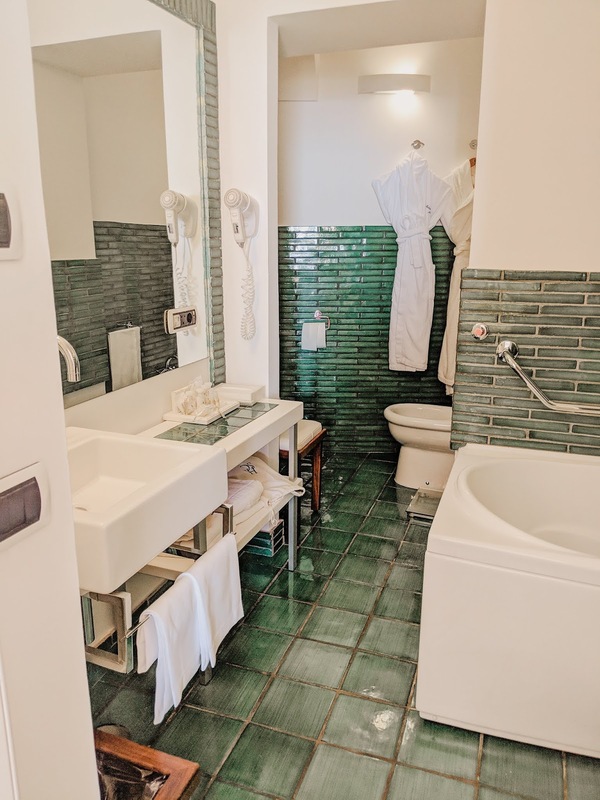 I always find that it makes such a huge difference as some times hotel hallways can get a little confusing and when you’ve refused any help downstairs by the bellman, traipsing around a hotel looking for your room is not ideal. Overall, we had a wonderful time at Royal Lancaster and would definitely come back and stay here again. Thank you to Royal Lancaster for hosting us and this gifted experience in exchange for coverage. 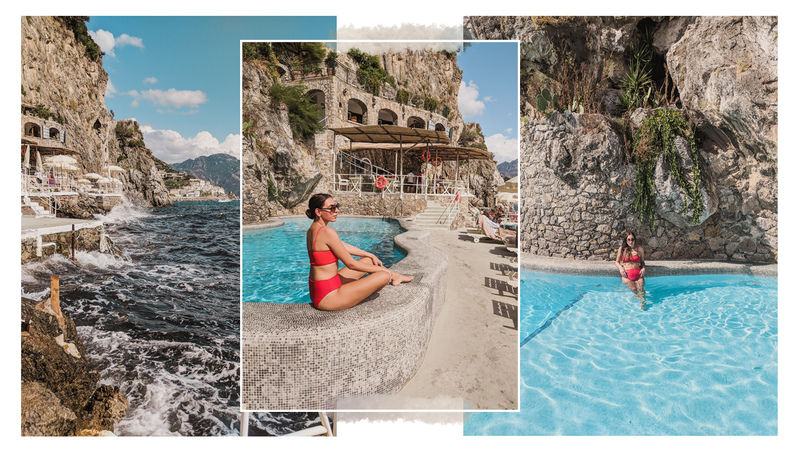 If you’ve read my An Italian Road Trip To Remember blog post you would have noticed that I mentioned the last hotel we stayed in in the Amalfi Coast as a key place to visit. 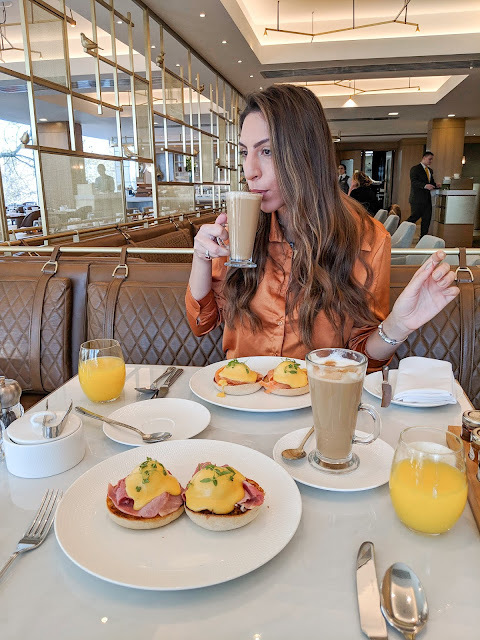 I decided to give this particular hotel it’s own blog post as it was the most incredible hotel I have ever stayed at. Hotel Santa Caterina really stood out for me on this trip, as I believe it was the perfect end to our holiday. It was luxurious, relaxing and beautiful. After busy few days in Naples, and driving down from Salerno, spending a few nights in Amalfi was just what we needed. 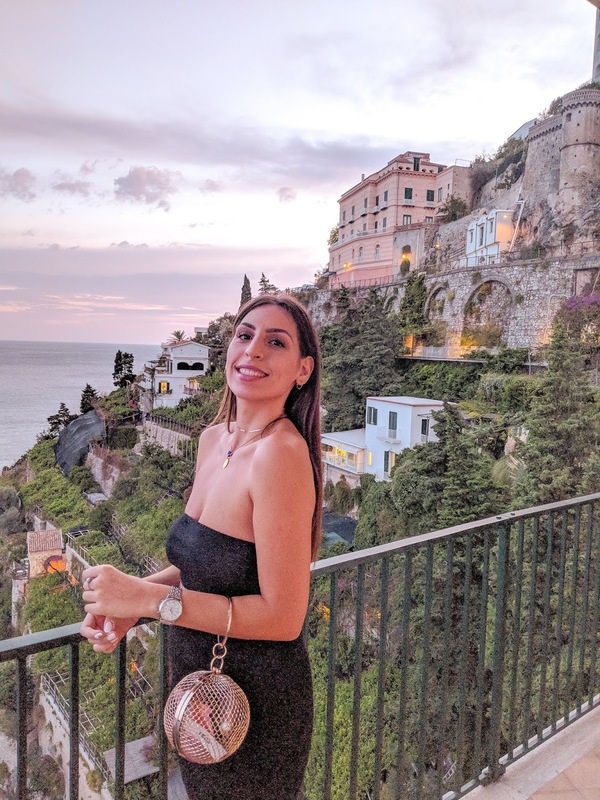 The hotel itself is on the coast just past Amalfi, which means the majority of it is built along the edge of the mountain resulting in breath taking views of the sea, sunset and the rest of Amalfi. 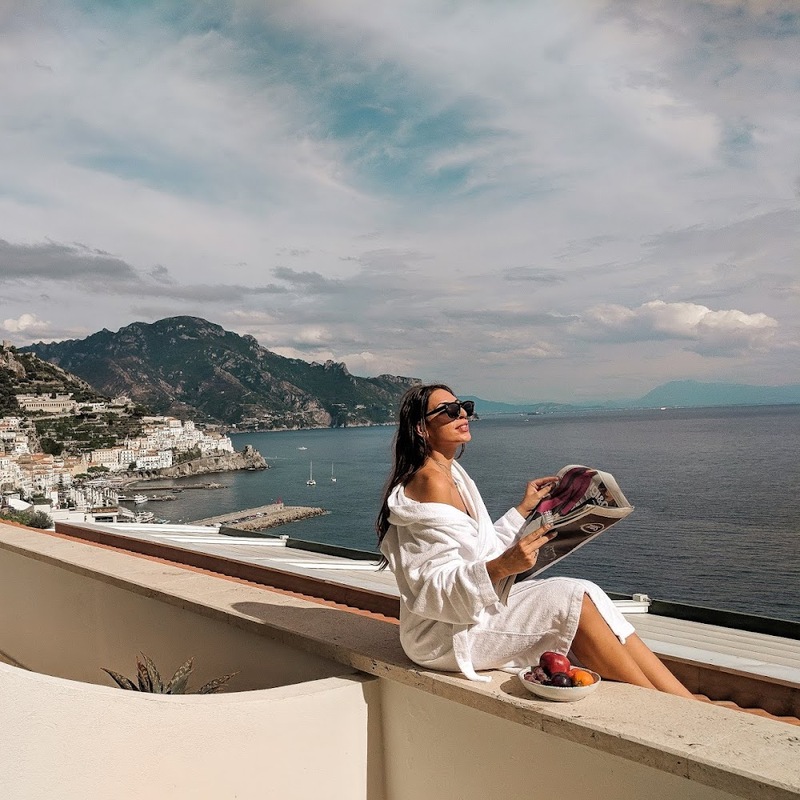 Although the hotel is set on the main road (access to positano, amalfi and ravello) the rest of the hotel is extremely quiet in comparison. Our room was on the first floor. That said, we still had one of the most beautiful views. The majority of the hotel is built up with the beach bar and beach itself the lowest part of the grounds (sea level). 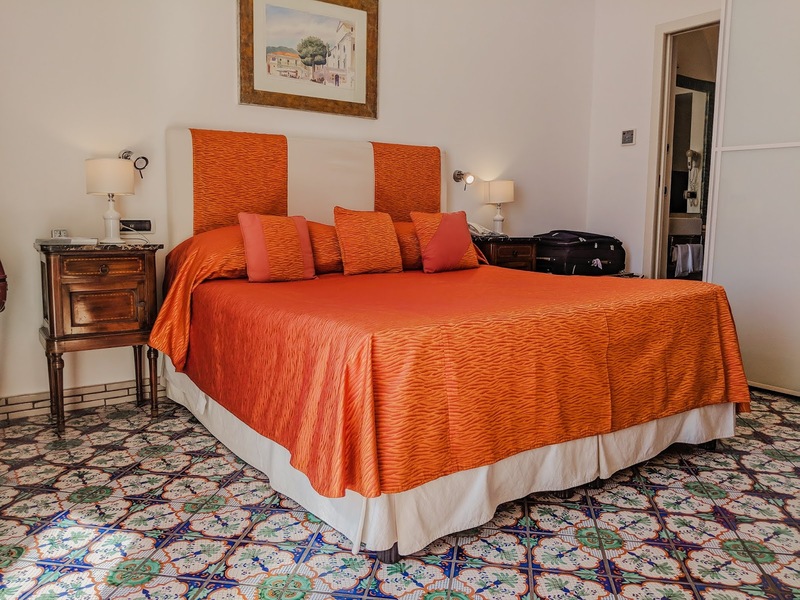 Although the rooms are white, each room has so much character; from the beautiful tiled floors to the Mediterranean style bathrooms you can tell you are in an authentic Italian hotel. For me, my favourite part of our room was the balcony. 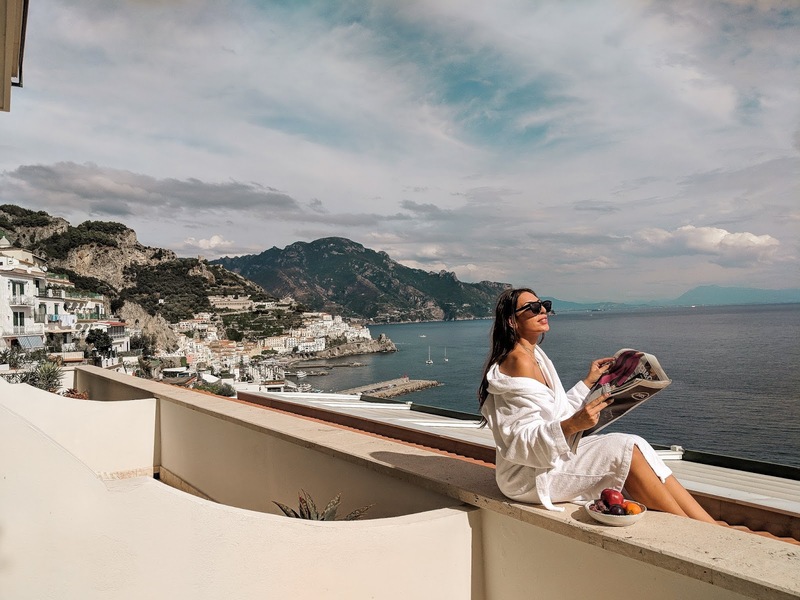 Waking up and walking to the balcony to see the views of Amalfi was just out of this world. 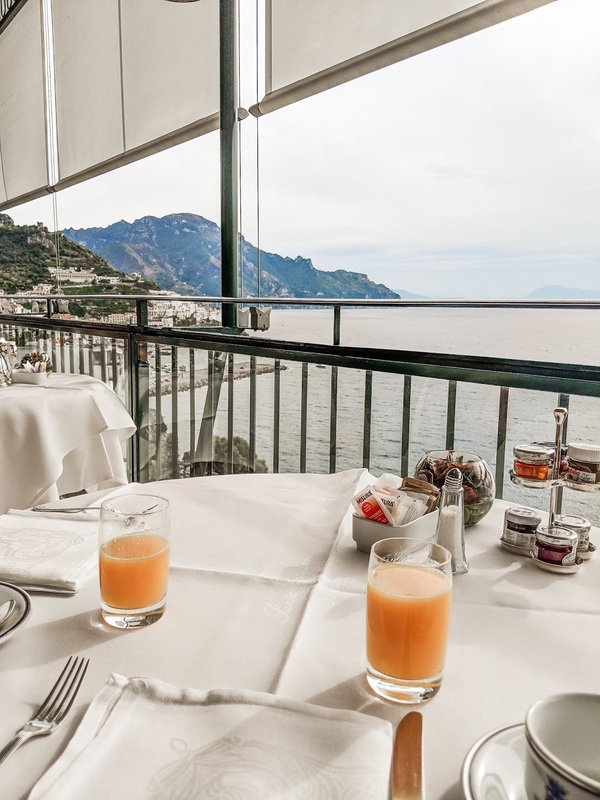 I think the position of this hotel serves great as it’s a 10-minute shuttle bus away from the main Amalfi so you have the best of both worlds. You can easily get to and from, yet you’re far away to feel completely private. As a family run hotel the staff are incredible. From the cleaners to the concierge, each member of staff greets and wishes you a pleasant day. I’ve been lucky enough to stay in many 5* hotels all around the world, but none compare to Hotel Santa Caterina. One of the most thoughtful hotels with meticulous attention to details shines above anything else. Having decided to drive around in Italy we rented a car and had the valet park the car over night for us. 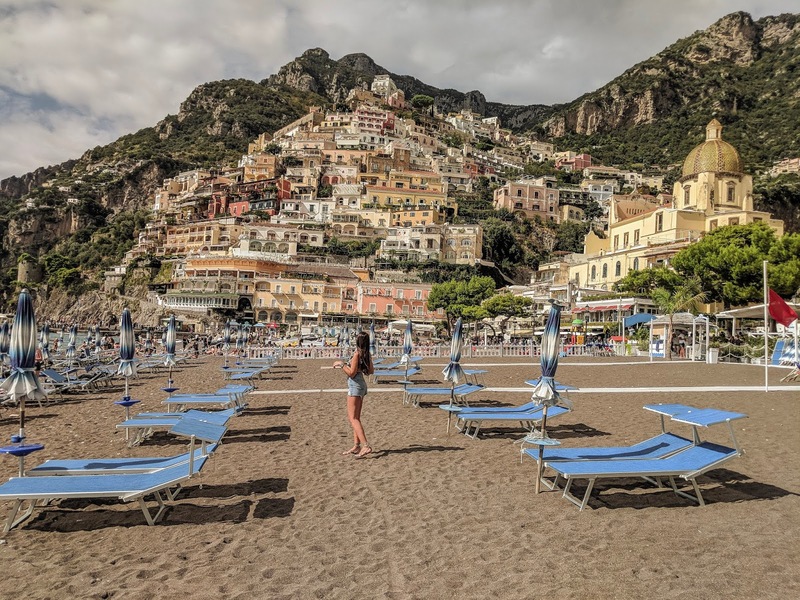 The next day when we decided to make our way to Positano we were greeted by the same guy who remembered us, our car, and brought it to the front in a matter of seconds. He also put a bottle of cold water for each of us in the cup holders which just sums up Hotel Santa Caterina for me. They go above and beyond making you feel welcome, accommodated and comfortable. The staff pre-empt your next move and are constantly working hard to make your stay be hassle free. As the hotel is quite small it allows staff to become personable with guests and offer their services at a high rate. 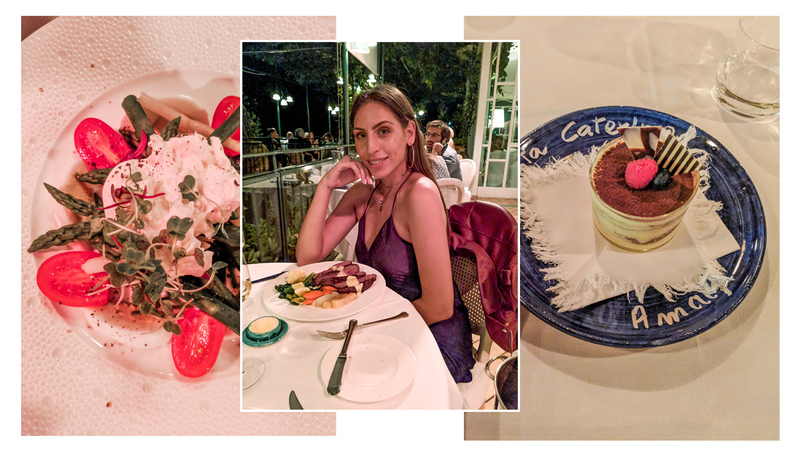 We initially were going to spend one evening in the hotel and make our way to Positano for dinner on the last night but decided to stay both nights as we were impressed by the food and service. The hotel has two restaurants and a beach bar that also serves food. 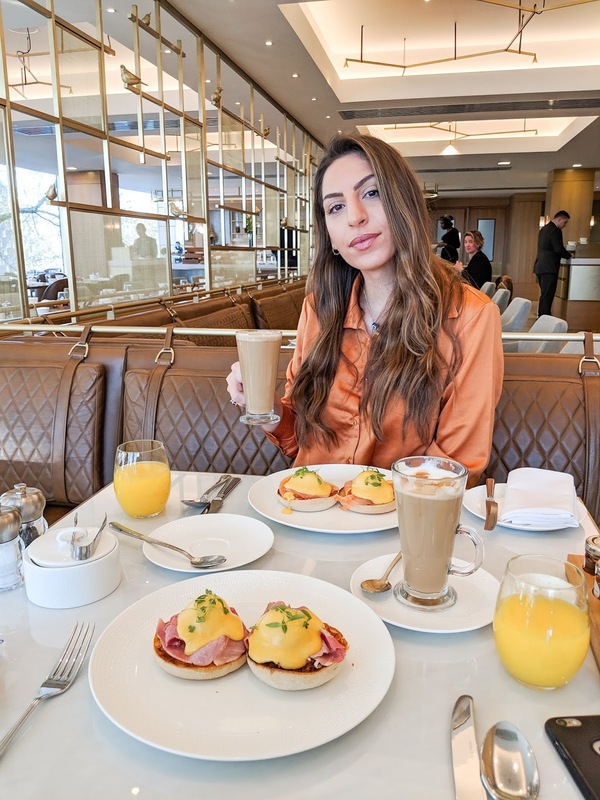 Breakfast and dinner are served in the main terrace restaurant where you are greeted by friendly staff. 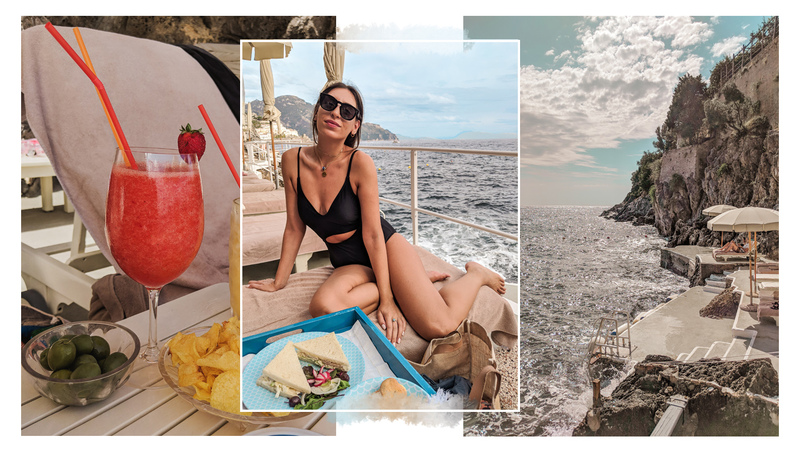 We were extremely lucky that each meal we went to have we managed to have a beautiful view overlooking the sea. If you’ve ever seen Charlie and the chocolate factory then you’ll appreciate the fact that this hotel has a glass elevator that takes you from the main part of the hotel to the lower grounds where you’ll find the second restaurant, pool and beach area. 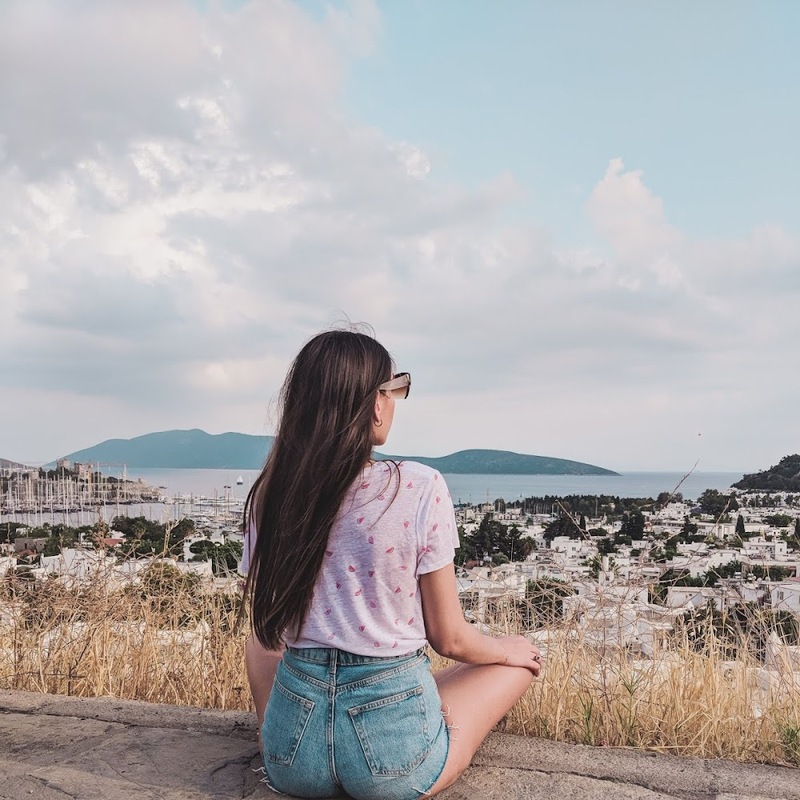 It’s a sight not to be missed as you can see exactly where you’ll be heading whilst still admiring the views. The pool is relatively small but for the size of the hotel itself, it doesn’t need to be bigger. The pool is salt water which is great for those days it’s a little too choppy to actually get into the sea. The beach doesn’t have a shore, so if you’re not a strong swimmer stick to the pool. The beach is easy to access with steps but as it was too windy while we were there the staff had blocked it off and asked us not to swim as it’s a little dangerous. 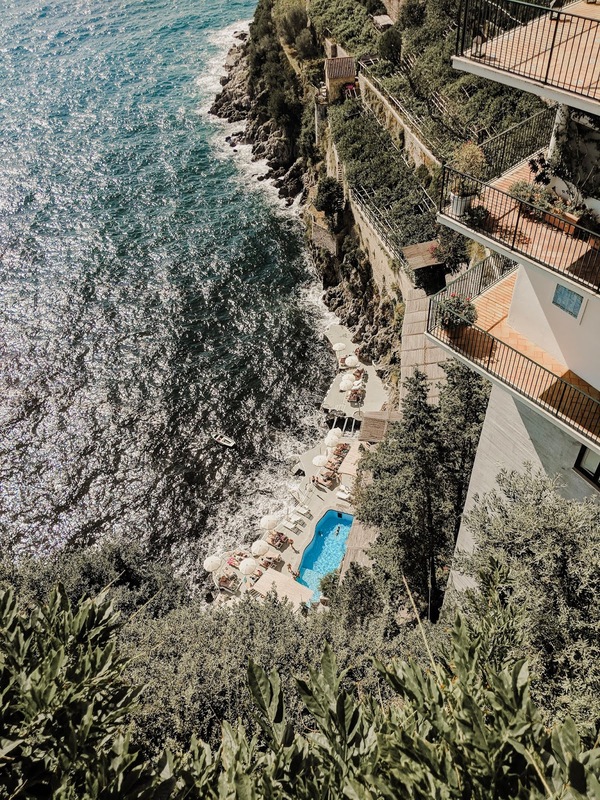 Although the hotels along the coast are relatively small, Hotel Santa Caterina never felt too cramped or too busy. 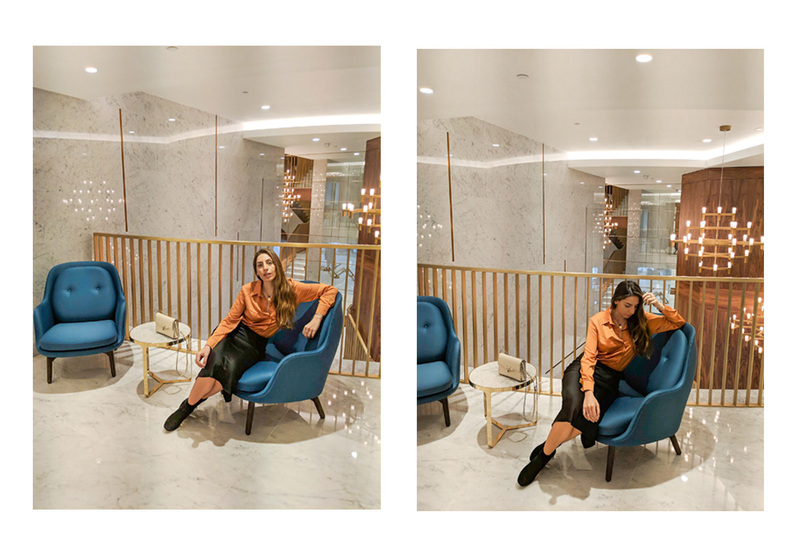 There are so many different areas in the hotel to go and explore that you don't feel like it's too small. 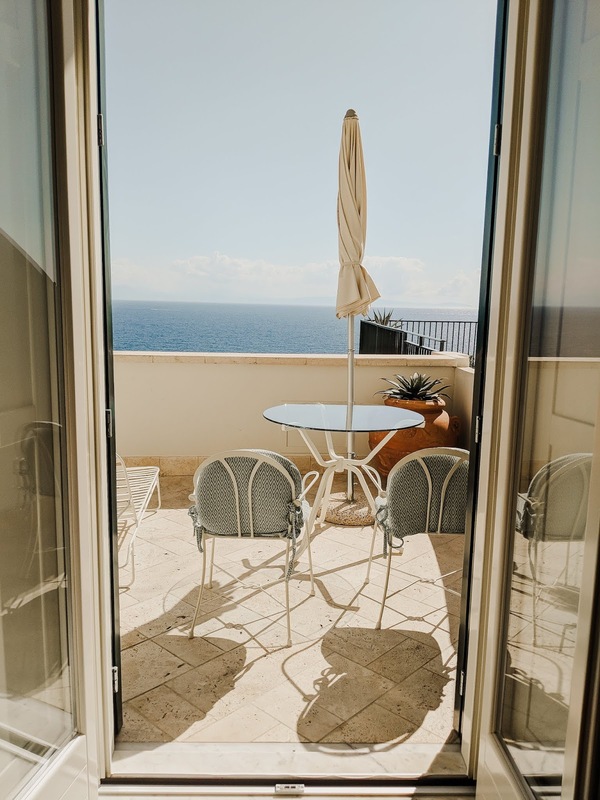 A huge thank you for Hotel Santa Caterina for hosting us [gifted]. We had such a wonderful time here and I am looking forward to returning back to Santa Caterina one day. I managed to fit my entire wardrobe in the Samsonite Medium Cosmolite [gifted] which made is super lightweight and durable for travelling from location to location.